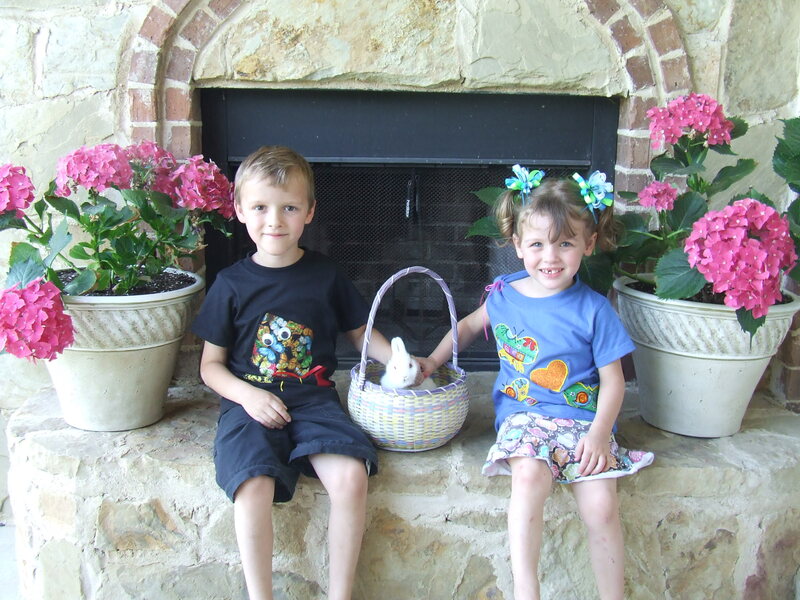 Easter is one of our favorite holidays. Part of the fun is having friends, neighbors, and/or family share in the events. 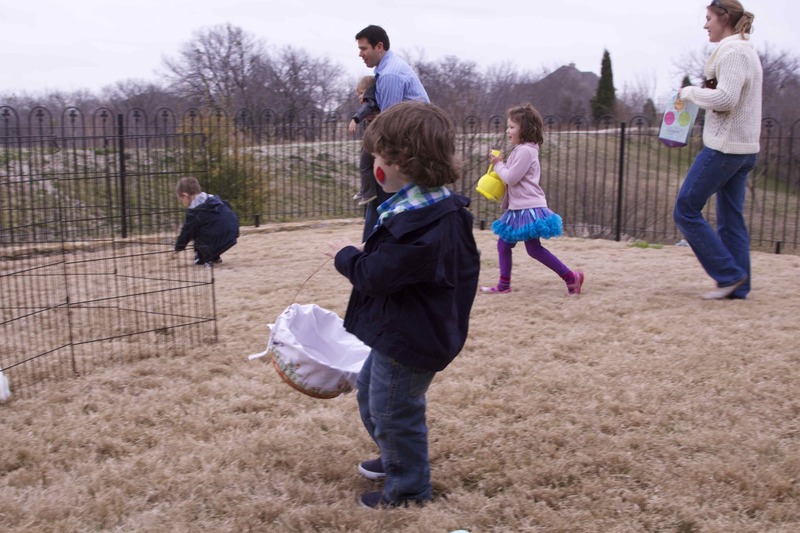 The Easter Egg shares one part of a great Easter tradition, the egg hunt. Here are some other activities that our family has done over the years when we’ve hosted an Egg-citing Easter Event for our neighborhood. Hop the ideas perk up your ears! *TIP= Totally Important Points! TIPs are the little things that make a big difference . . . Throughout these plans, I’ve listed things that I’ve learned, tipically through my errors, by doing this event for several years that may save you some time, work, and mess. well organized, but not perfect! 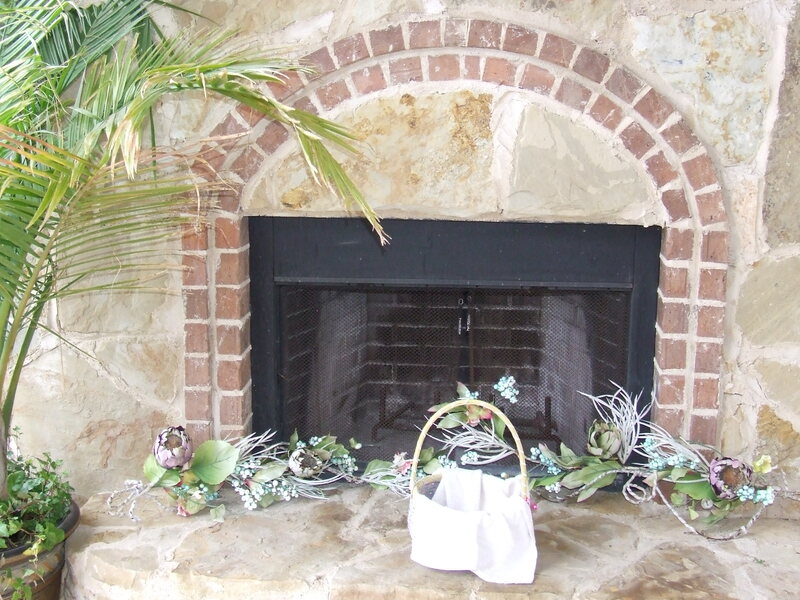 As families arrive, welcome them, give them nametags, describe the various events, and have them place their filled eggs in a large laundry basket for the hunt at the end. As families arrive, have a leader direct them to the photo area where the designated photographer arranges them between two flower pots, and the child in the middle holds the Easter basket with the bunny in it! TIP: Have a tablet for all the families to record their e-mail address and then send them their family picture with a message the week following the party. If you want to share/upload the pictures on Facebook or a public site, have a column on the tablet where they sign permission for their photographs to be public. When pictures are completed, place bunny in the gate cage allowing 3 kids at a time to pet her. Have a volunteer supervisor. 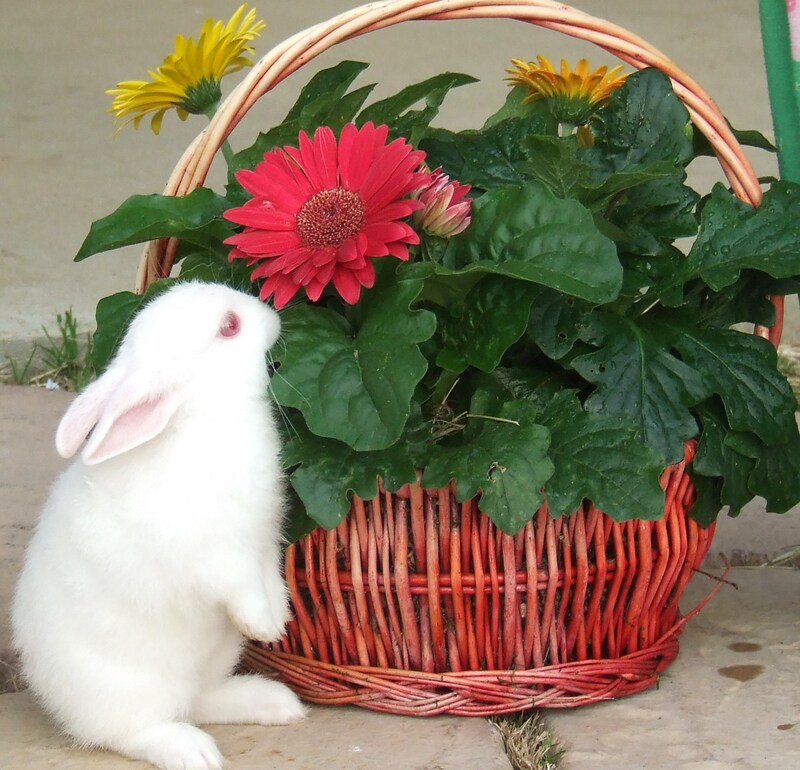 Supplies: digital camera, tablet, pen, large pet pen, real bunny or someone dressed up like one! Laminated description of color meanings and coordinating Bible verses: Google it. 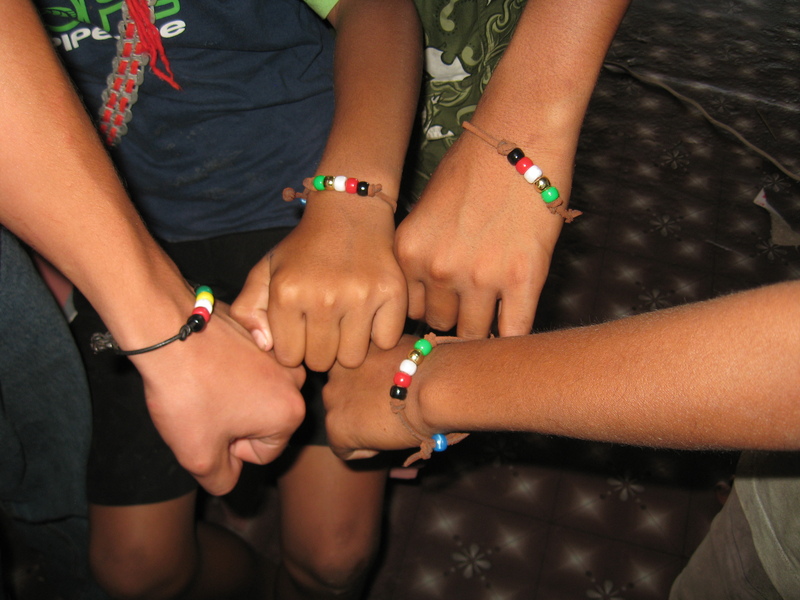 Put the bracelet on the children so they don’t lose it. 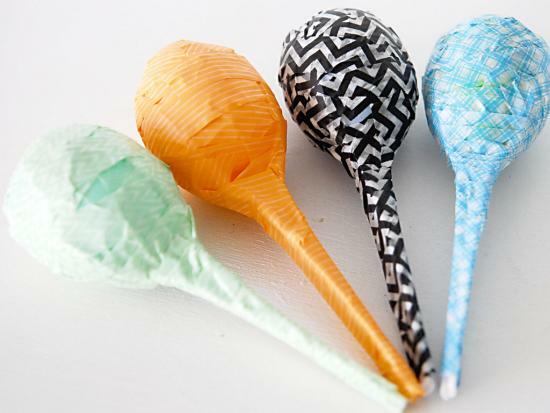 Place the maracas in a bag with child’s name and put them on the story time blanket. Bubbles- Battery operated one that blows so kids can run through it. No mess! 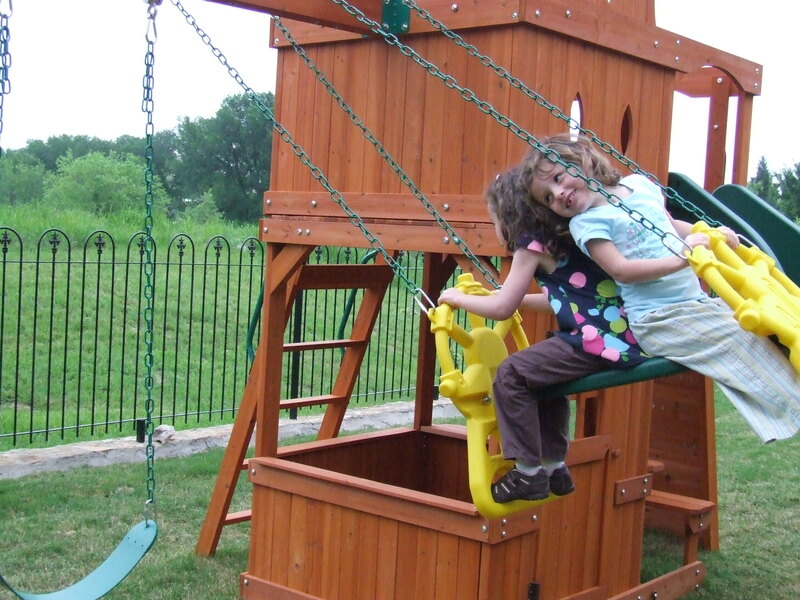 TIP: Make sure all items available for kids are safe. Directions: Divide kids into 3 teams; One person per team steps into pillow case wearing the bunny ear headband; Hops around the cone and back and has to stop if bunny ears fall off and put them back on; Passes on pillow case and ears to next team member; First team of hoppers that complete the relay wins. Directions: Divide kids into 3 teams; One person puts the egg on the spoon and runs around the cone and back to start; Passes spoon and egg to next team mate; First team that complete the relay wins. As families arrive, have a leader direct them to the photo area where the designated photographer arranges them between two flower pots and the child in the middle holds the Easter basket with the bunny in it! TIP: Mini-water bottles;With a permanent marker, write a number on the lids of the water bottles instead of having people write their initials or names. Have a sign posted letting them know to remember their number for a contest! 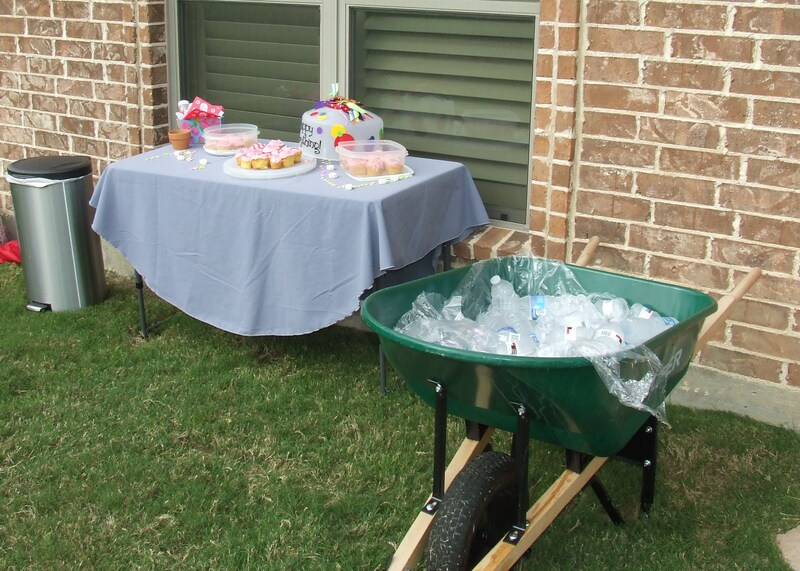 Serve the water bottles in a unique spring season style by placing them in a wheelbarrow lined with plastic and filled with ice. TIP: These treats are non-messy and simple so no utensils or paper products beyond napkins are needed. Make sure each person has a water bottle and knows the number on the lid. 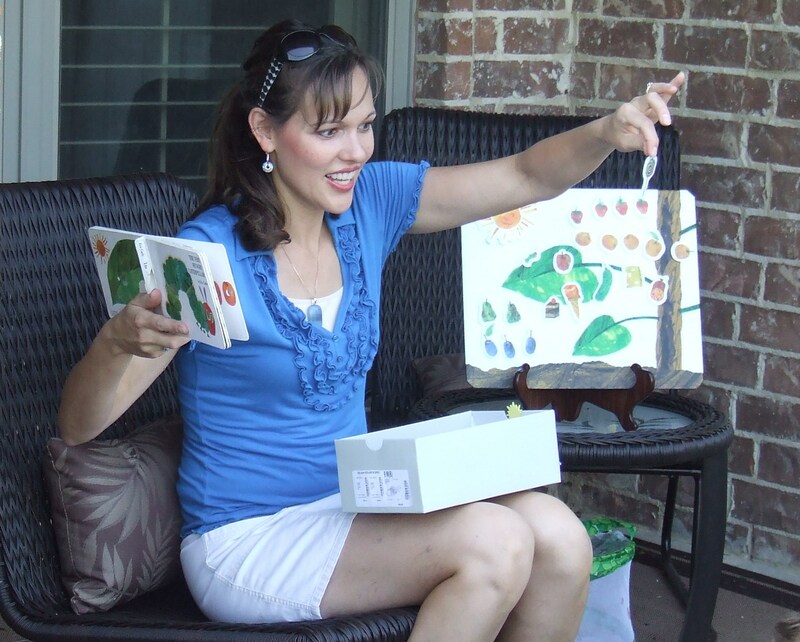 The story leader calls out a few numbers and the winners receive: An Easter book (Velveteen Rabbit, Peter Rabbit, The Easter Egg, Runaway Bunny, Why God Gave Us Easter), Set of Resurrection Eggs, the bunny ears from the game, or various decorations used that day. For teams that win the games, have the leader stamp the kids’ hands with an Easter Stamp. Use a different stamp for each game and save the biggest stamp to put on all the kids at the end for participating. Family Life Resurrection Eggs: Share a few of the cool eggs to tell the Easter Story! Children and parents sit on a story time blanket on the grass. At the end of the story, they get their maracas and shake them while singing an Easter song! Afterwards, parents place the maracas in the child’s Easter basket and line up for the main event! 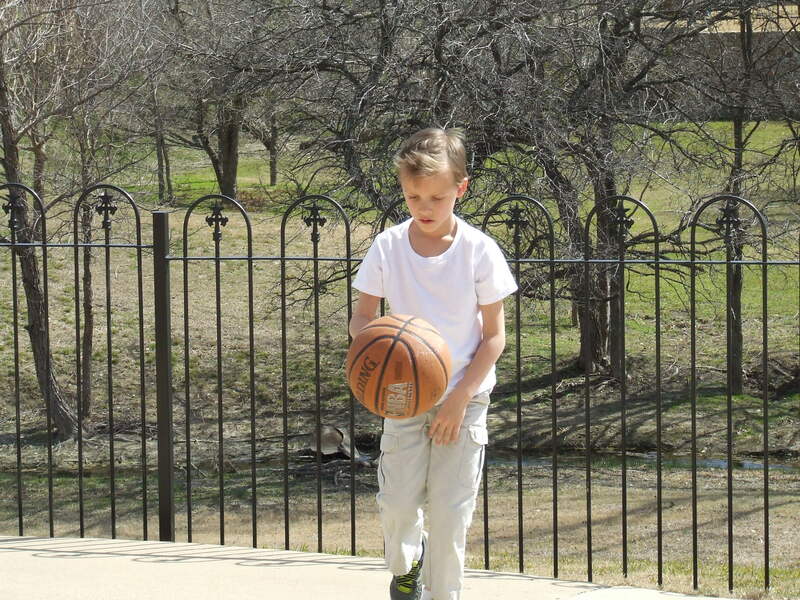 TIP: Get the family members involved: While the Story Leader talks with the kids in the front yard, ask several parents and older siblings to hide the eggs in the back yard. Supplies: yard blanket, set of Resurrection Eggs, maracasA Spring Story Option: The Hungry Caterpillar by Eric Carle- Use his Flannel Story Board! Super fun to release real butterflies! 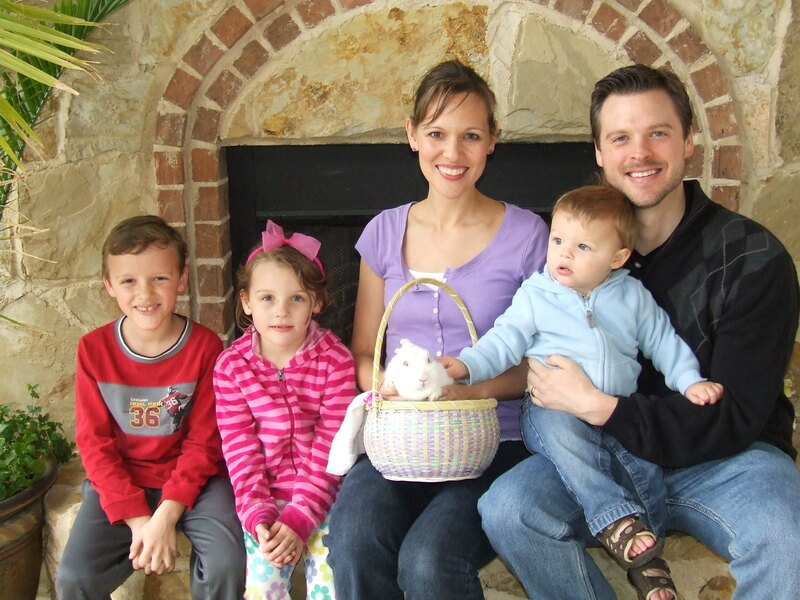 All families bring 12 filled Easter eggs/child and an Easter basket to collect eggs. 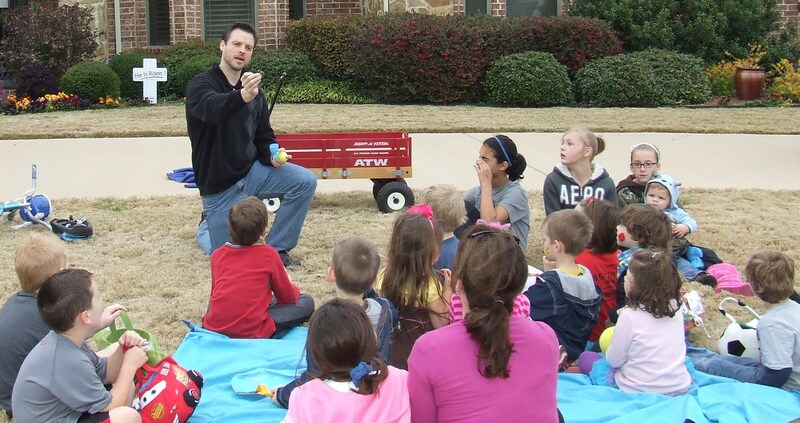 Parents and older siblings hide the eggs in the back yard while the story time is taking place in the front yard. 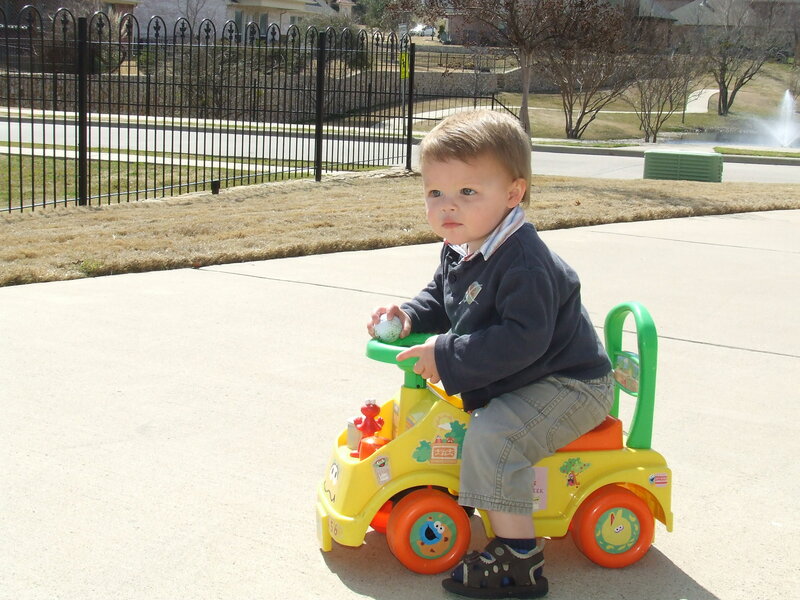 Allow the smaller kids to get a head start on the hunt. Make a flyer and send it out through your neighborhood website or distribute to doors about two weeks prior to event. Request an RSVP a few days prior to the event. Include a plan for inclement weather on the invitation (rain date). Delegate! 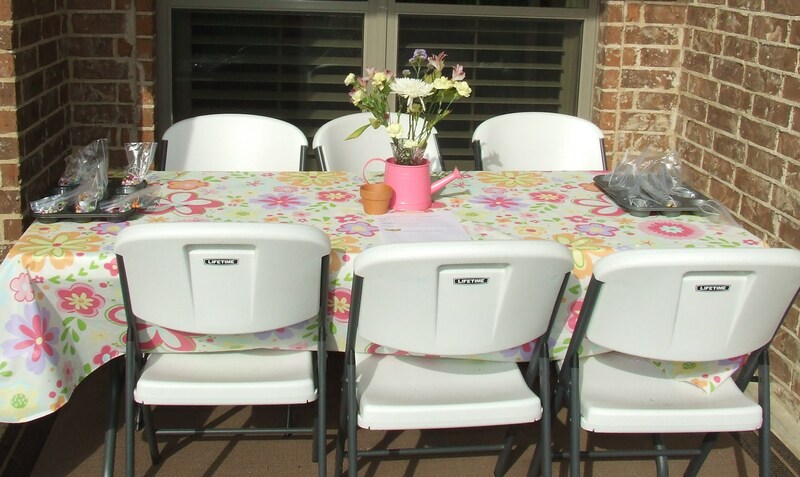 Ask your neighbors to help lead events and bring supplies as this gets them involved and committed and makes the event more manageable for you to host! Use one large laundry basket to store all your supplies as you gather them. Keep one paper to mark the RSVPs as you receive them. Ask for volunteers to help you clean up afterwards! 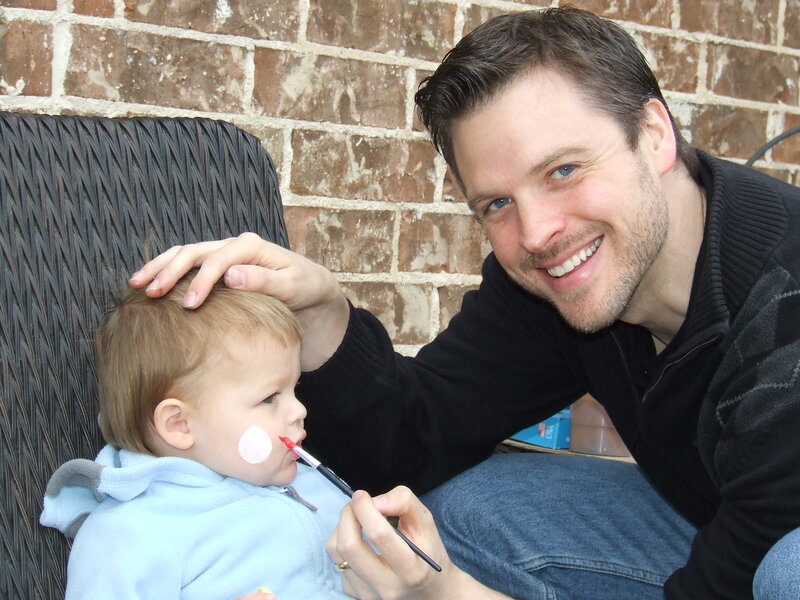 This entry was posted in Easter and tagged Easter Bunny, Easter Crafts, Easter Desserts, Easter egg hunt, Easter Face Painting, Easter Games, Easter Party Ideas, Easter Pictures, Easter Prizes, Easter Stories, Eric Carle, party planning, Spring Story, The Hungry Caterpillar. Bookmark the permalink.